Etching House has been visiting the Norman Lindsay Home for many years and each time its like the first, Etching House recommends highly a visit that will be memorable. Annual Jazz festival, Children’s Literature Festival and many other musical and family events. The house, presented as the home of the Lindsay family. The Gallery, with its changing exhibitions, painting and etching studios presented as they were. 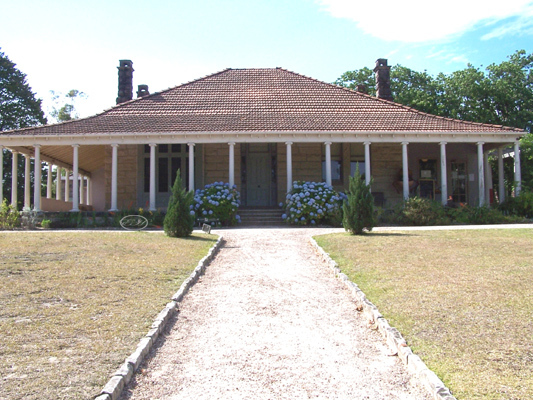 Extensive grounds with statuary and bush walks. Shop – National Trust has a great gift shop where you can buy Etchings, Facsimile Etchings, Prints, Posters, Cards, Books and many other wonderful items all at very affordable prices, You can even buy original works from time to time. Cafe -There is a Cafe with an excellent menu great coffee and the atmosphere to relax and take up the wonderful mountain air, enjoy the peace. and café. Walks – Tranquil stroll through the Statue Gardens, or there is a very nice bush track to enjoy all on the property, yes and it ends up at the Cafe, what a treat. Accommodation – See further on in this page. Parking – Heaps of it. Some steps to access house and grounds. 14 Norman Lindsay Crescent, Faulconbridge via Springwood Blue Mountains, you can print directions from www.whereis.com and print out step by step directions.